One of the most important things that you can have as a business owner are good relationships. 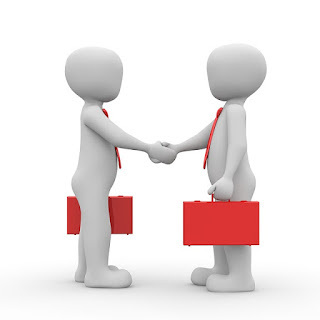 Good relationships can be very instrumental in the success of a business. There are several different types of relationships that a business owner should be trying to obtain. This article will take a look at three of them that I feel are a must have! These three are: relationships with your existing customers , relationships with potential customers and lastly relationships with other people in your field. Below, each of these types are looked at a little closer so you can get a better understanding of how important each one is and can be. It doesn’t matter if your regular customers are individual people or a business; developing a relationship with them could be the difference between keeping that customer and losing that customer to a competitor offering the same type of products or services that you do. Let them know that you really do appreciate them as a customer on a regular basis. You don’t always have to try to sell them something either, every once in a while send them a postcard or email thanking them for choosing you to do business with on a consistent basis. It might not seem like much;but your customers will appreciate the jester, increasing the chances of them staying one of your loyal customers. Let these individuals be the first ones to hear of your upcoming sale or new product or service that you will be offering soon. Reward them with special discount prices and deals just for them being one of your regulars, it’ll be a well spent investment. Sometimes it’s hard to pay any attention to someone or something that isn’t really doing anything for you at the moment. The truth is, this is where many businesses make a huge mistake. Remember this, potential customers represent the future of your business. Never be content with your current amount of customers, always look to gain more! Keeping that in mind, you should make it a routine to keep in touch with prospects that may have signed up for one of your newsletters; or maybe they responded to an ad that you ran in the paper before, but haven’t purchased anything from you yet. Without being a pest remind them that your services are still available. Offer them some type of sample or free trial to demonstrate the quality of your products and or services. If done correctly, you can easily convert a lot of “maybe buyers” into “yes buyers “. Now these customers will soon find themselves in your “regulars” category . This is with out a doubt one of the best relationships to have. Simply put, these types of business relationships have so many advantages both short term and long term. By interacting with others in your field, it gives you an opportunity to learn new things, teach new things and even open up new doors for your business. Having these relationships with others in your field can possibly lead to collaborations in the future, greatly benefiting all involved. Building business relationships, especially good ones, takes time to do. Once developing a relationship with a customer or colleague, put the same amount of time and effort into maintaining the relationship as you did to obtain it.